Following the 1970’s, graffiti culture in New York City had evolved into an undeniable presence to be seen throughout the veins of the subways and into all areas of the city. The controversy around graffiti is in the polarity of perspectives when discussing its presence; some consider graffiti to be vandalism, while others view it as a form of free expression. There is a history of cultural clash between the New York City establishment and the city’s graffiti artists, most evidently in the 1980s. As graffiti became associated with crime and the city’s poorer neighborhoods, more people called to eradicate its presence. 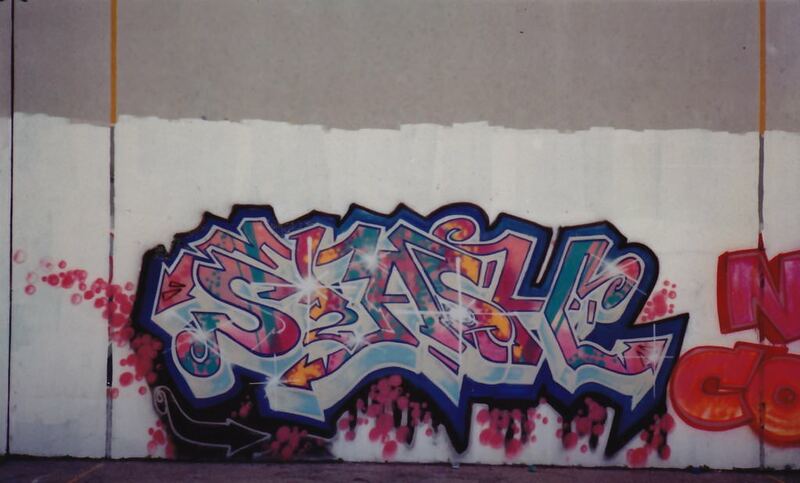 These challenges did not discourage graffiti artists, but rather motivated them to secure their painting locations, signify their styles/tags, and work in larger groups. Graffiti or street-art emerged as an art form to often express underlying social and political messages or to act as a signifier of territory within the artist’s neighborhood. The culture of street art in New York City during this time had a large-scale impact on emerging graffiti styles in other cities. The public areas of the city and subways became traveling galleries and exhibits to unrepresented artists .